There would be no violation of the constitution if the terms of the Cummingsburg Accord are implemented, according to Senior Counsel Ralph Ramkarran, who warned that APNU and the AFC’s willingness to sacrifice the fundamental core of the Accord will prove to be the undoing of the coalition. 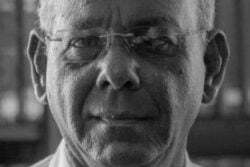 Ramkarran noted that a series of interviews over the past two weeks given by President David Granger and Prime Minister Moses Nagamootoo suggest that a review of the Accord is underway. The Accord underpinned the successful pre-election alliance between the two parties. In a recent interview, Granger had told Stabroek News that parts of the agreement underpinning the historic alliance between APNU and the AFC collide with the Constitution and would therefore have to await reforms. He had said that it was following legal advice this would have been discovered. The coalition government has been criticized by observers for what appears to be a breach of the Cummingsburg Accord, which states that the Prime Minister will chair Cabinet meetings; this has not been done. 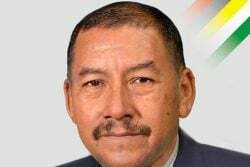 Writing in his Sunday Stabroek column, Ramkarran observed that both APNU and the AFC appear anxious to amend the Cummingsburg Accord allegedly on the ground that the reality of political office has clashed with the Accord’s constitutionality. The former Speaker of the National Assembly noted that the Cummingburg Accord has two limbs. The first is the number of seats in parliament and ministries in government that each constituent party would be assigned while the second limb provides for the more substantive core of the relationship between the parties, namely, the division of responsibility in the management of the government. The Prime Minister was expected to chair the Cabinet and be responsible for domestic affairs except national security while the President would be responsible for foreign affairs and national security. Ramkarran pointed out that Nagamootoo has not been given the responsibilities of chairing the Cabinet or of exercising responsibility for domestic affairs. “The contents of Minister (of State Joe) Harmon’s regular engagements with the press suggest that domestic affairs reside with him and/or the President. In excusing the failure to observe the terms of the Accord, both President Granger and Prime Minister Nagamootoo indicate that there is no dispute arising from the failure to implement the Accord,” Ramkarran wrote. He noted that the two officials have also pointed to a potential violation of the constitution if the terms of the Accord are fully implemented. “There is and would be no violation of the constitution if the terms of the Accord are implemented. Various articles of the constitution allow the President to appoint others to execute his responsibilities,” Ramkarran declared. He said that the President can delegate the purely nominal function of chairing the Cabinet while he is present and the Prime Minister can take charge of domestic affairs in an advisory capacity to the President. 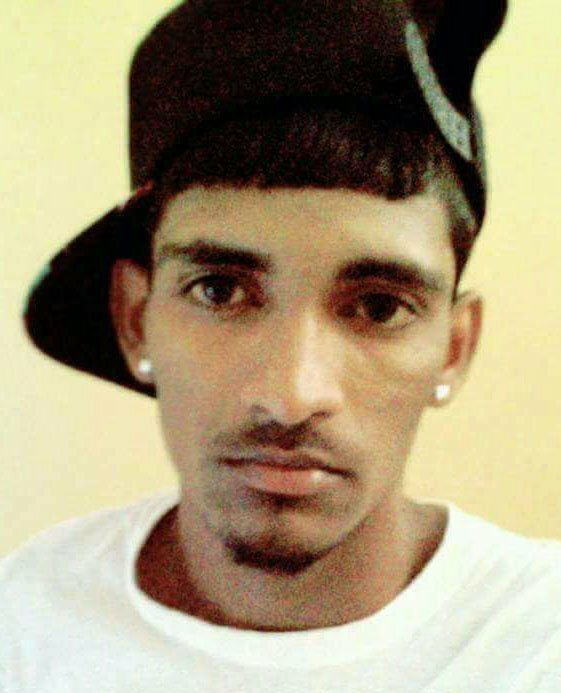 “The flimsy excuse of constitutional violation is an attempt at a power play by APNU. Supported by a surprisingly subservient AFC, it is not a good sign,” Ramkarran asserted. He argued that in any event, APNU and AFC are not free to amend the Accord. “They are only two parties to the document. The electorate is the third party. It contains the basic terms of their post-elections collaboration on the basis of which the electorate supported the coalition,” he said. “The electorate understood that the AFC would have a distinct, decisive and visible management role in the affairs of governance through the Prime Minister. If the parties now wish to unilaterally tamper with this and consign the AFC, even with its unwise consent, to a vague and amorphous, consultative position, the parties should not be surprised if bitter fruits are harvested five years down the road from the same electorate, their third partner, that they have deceived. If that happens, this is where it would have all begun,” Ramkarran declared. He said that having regard to the high turnout of voters, the percentage of votes obtained by the PPP/C, the votes received by the AFC in 2011 and the numbers at their meetings, there is no reason to suggest that the PNC obtained more than its usual 41 to 42 per cent at the May 11 general elections. “The AFC therefore contributed eight to nine per cent of the votes to the victory of the coalition. There could have been no coalition victory without the AFC. Five years from now there would be no coalition victory without the AFC, if the AFC loses its identity and individuality in the governance structure and operations, an individuality which it would never be able to retrieve as a political party with a distinct voice and appeal,” Ramkarran asserted. He said that one of the major factors in the AFC sustaining its vote from 2011 was the maintenance of its independent character and campaign strategy, its promise of a fresh approach and youth empowerment. 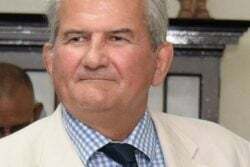 “Had it been submerged under APNU, disaffected PPP and PNCR/APNU supporters would not have had the opportunity to identify with a political party other than APNU. Just as how the AFC attracted support by maintaining a clear and distinct presence and individuality in the election campaign, so it needs to maintain an independent political existence and defined authority within the coalition in order to sustain and even expand its support. The Cummingsburg Accord clearly intended to enable the AFC to do this,” Ramkarran argued. “We do not know the reason that has caused the AFC to lose sight of these realities, or to appear so anxious to be willing to sacrifice the fundamental core of the Accord. This will prove to be its undoing and that of the coalition,” he declared. Ramkarran said that there is no doubt that President Granger is facing enormous pressures from within his own party. “All the signs are there. But he has to lead from the front. He cannot succumb to the political culture of dominance spawned by a history of ethnic politics, which the coalition has promised to destroy by the very Accord that it now seeks to defang because it disallows the perpetuation of the culture. President Granger must inculcate in his supporters that APNU alone did not win the elections. 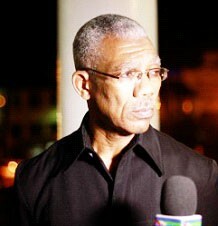 They must understand that without the AFC there would have been no President Granger,” he said. The issue of the Accord not being adhered to has also been raised by other persons. In a letter to Stabroek News last week, M. Maxwell argued that the Cummingsburg Accord does not collide with the constitution. Quoting aspects of the document, he said that clearly, the multitude of AFC and APNU lawyers crafting the agreement as well as Granger who signed it contemplated the constitution when creating the accord. “It is evident from the wording that these individuals knew that these steps were intended as constitutionally safe arrangements. It is now democratically dangerous for anyone, including the very man who signed the Cummingsburg Accord, to claim it collides with the constitution,” he declared. 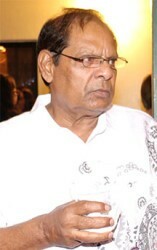 He said that the Guyana Constitution allows for presidential delegation of responsibilities to the prime minister and pointed out that Article 101(2) makes the prime minister “…the principal assistant of the President in the discharge of his executive functions and leader of Government business in the National Assembly.” He argued that delegation is patently intended under Article 101(2). “Article 102 allows the president to appoint vice presidents to assist him in the discharge of his functions. There is no provision that prevents presidential delegation of responsibility. The constitution is replete with presidential delegation of responsibility. In fact, some may argue that the constitution goes further and allows presidential delegation of authority pursuant to Article 96 which grants the president the power to allow someone else to perform presidential functions for as long as the president allows,” Maxwell wrote. He said that regarding the chairing of cabinet, the only constitutional clash is the one “falsely propagated” by the President. “The prime minister is allowed to chair cabinet in the absence of the president by virtue of Article 106. There is no constitutional compulsion that the president must attend cabinet meetings. The signatories to the accord clearly intended for the President to not chair cabinet. 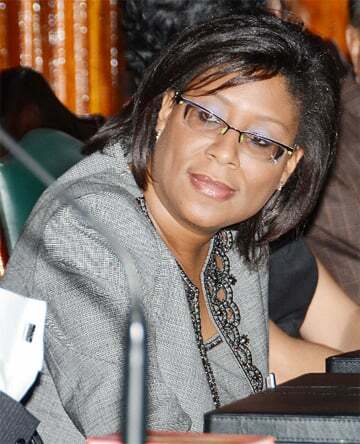 The President has a Minister of State sitting in cabinet to convey his positions, yet he continues to breach the accord and its democratic safety net by chairing cabinet,” Maxwell asserted. “No decision made in cabinet will pass muster without presidential approval. The President retains ultimate authority. So, there is no conceivable reason for the President to continue to breach the Cummingsburg Accord by chairing cabinet. President Granger and PM Nagamootoo are in breach of the constitution by allowing the co-chairing since the PM, or anyone for that matter, cannot chair cabinet in the presence of the President. We are witnessing breaches of the constitution on top of the breaches of the Cummingsburg Accord,” he declared. Maxwell asked where is the evidence that the Accord collides with the constitution, and even if it does, questioned where is the evidence that such collision is unconstitutional. “The continued demolition of this Cummingsburg Accord under the guise of the straw man of constitutional collision is destructive to this country’s democratic future. Because the accord does not breach the constitution, there is no need to wait for constitutional change for the accord to take root and to be followed. In fact, if pursued fully, the Cummingsburg Accord ameliorates some of the oppressive elements of governance in this country, as well as achieves constitutional change within a framework that actually does not require the constitution to be formally changed,” he said. He added that given the inherent difficulty in securing a two-thirds majority in the National Assembly as well as what will likely be this government’s natural disinclination to go to the people in a referendum, this is the best shot at achieving constitutional change. “When the Constitution is altered then those requirements will more fully be enforced … some things are at present in collision with the Constitution… and that points to maybe a lack of understanding on the part of the persons who drafted it as to how the Guyana Constitution works,” Granger had told this newspaper when asked about the issue. According to the February 14th Accord, the President shall among other things delegate the responsibilities of domestic national affairs and the chairing of Cabinet. 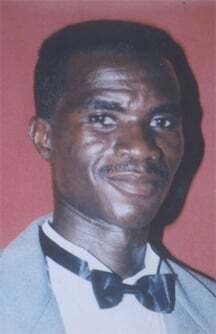 Other responsibilities delegated to the Prime Minister should have included recommending ministerial appointments and providing the organisational structures of ministries for the approval of the President; appointment of heads of agencies and non-constitutional commissions with the required and agreed democratic mechanisms of consultation and domestic security (Home Affairs). The parties had also agreed that Cabinet positions would be allocated on a 60/40 basis between APNU and the AFC, respectively.